Are we at the turning point for outdoor learning? There’s a real buzz around getting kids into the outdoors at the moment – outdoor learning, outdoor play, outdoor education, wild time, whatever you want to call it, everyone’s talking about how important it is to get our children outdoors. From celebrities like Ben Fogle, to commercial companies, to renowned educationalists like Sir Ken Robinson, people are lining up to endorse the value of getting kids away from their screens and into nature. There’s even a new book from well-known author Richard Louv, Vitamin N, presenting us with over 500 nature-oriented challenges. Is this a turning point? You might ask if it’s all just worthy anecdotes and daydreams of childhoods past? Is it just talk and preaching to the converted? Should we believe the hype? Well I think so, and in this week’s blog I’m going to show you that this is a global conversation, rooted in evidence, about quality education, health and childhood. Parents, teachers and communities can all help enable more children to have access to these experiences and their benefits. 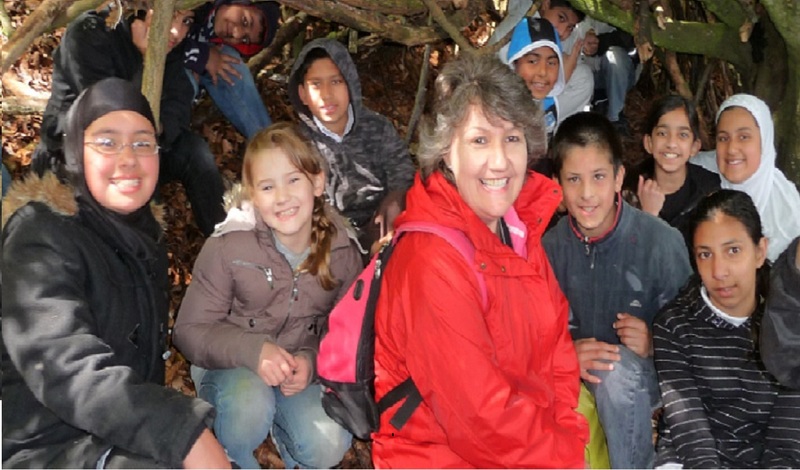 For those of you who read my last blog, you will know that Natural England and partners have recently published the findings of the Natural Connections Demonstration Project, a large scale outdoor learning project, set up to enthuse and support teachers to use their school grounds and local greenspaces for teaching right across the curriculum. 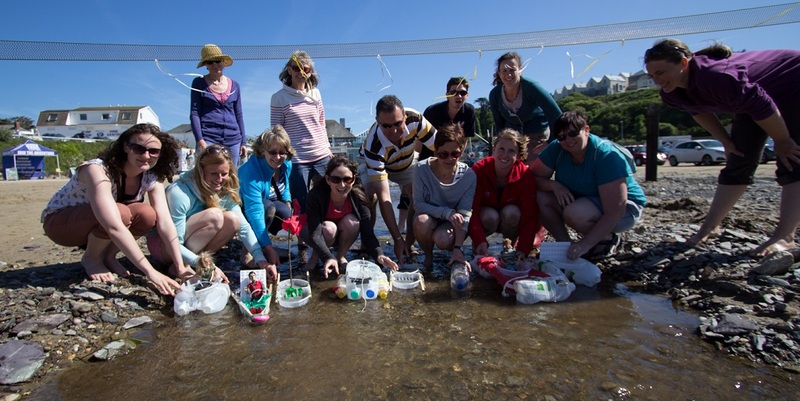 The project’s findings (which make a valuable addition to the existing evidence base) demonstrate multiple social and educational benefits to pupils and teachers that come from bringing outdoor learning into everyday school life. The findings have been presented and discussed in 17 countries and, through social media, people from across Europe and beyond are now sharing and using the evidence to help inform their work and share positive messages about the benefits of learning outdoors. Positive action to improve children’s opportunities and experiences outdoors can be found around the world, from schools in the US increasing recess time, to New Zealand where the Government has recently confirmed the value of their Enviroschools programme through an additional investment of $11NZ million over the next 5 years. In Finland, (long ranked as Europe’s best performing education system) the Education Minister recently announced new recommendations to increase physical activity to at least 3 hours per day, and in their new school curriculum they are looking to meet this through increased physical education and more outdoor activities. In Singapore, which in 2015 was ranked as the best in the world for maths and science, outdoor education is viewed as central to supporting the social and cultural values underpinning education outcomes, and an outdoor education master plan for outdoor experiences throughout schooling was recently approved and funded by their Ministry of Education. Similarly, in Denmark, which ranks number one in the World Happiness Index, their well-researched grassroots programme of learning outside the classroom Udeskole is now combining teacher values and experiences with policy support and funding to spread the practice more widely to meet the ambition for more active and engaged pupils. So, outdoor learning isn’t a subject, it’s way of teaching; outdoor play isn’t a fad, it’s a foundation for our children’s future learning and health. What is becoming clearer is that it’s more than just a flash in the pan, more than just a social media campaign – it’s about parents, teachers and families being supported to provide frequent, progressive, high quality play and learning experiences in the outdoors for all children. In order for all families, schools and communities to access the personal, social and educational benefits of the outdoors, we need to work together to offer a package of simple, accessible information, tools and options, to ensure that the outdoors forms an important and valuable part of children’s lives at home and at school, right from the start. In most cases this is simply about building confidence and doing it, and it’s usually very low cost. Firstly, a brand new one from Natural Connections –Transforming Outdoor Learning in Schools – this booklet provides school staff with an introduction to the value and impact of well-planned, regular outdoor learning. This simple guide provides planning support and case studies to support teachers, schools and their networks to develop outdoor learning. Check out this additional case study from a Natural Connections school. Learning Away has just launched a campaign called 'Brilliant Residentials' to encourage more schools to develop more school trips with an overnight stay. The campaign promotes the compelling findings of the Learning Away programme providing information to support and advise teachers. Teachers can find one-stop ideas and resources from Countryside Classroom or Wild Time Learning, and can sign up to initiatives to raise the profile of learning outdoors such as the worldwide Outdoor Classroom Day on 6th October, Empty Classroom Day on 18th May 2017 or International School Grounds Month held annually across the globe in May with a growing number of inspiring activities. Parents involved with these events take home some great ideas to use with the family and community participation can also enrich positive relationships between home, the school and its neighbours. Teachers can access training to help them get started, build their confidence and develop their skills in learning outside the classroom with The Council for Learning Outside the Classroom’s new courses available now. 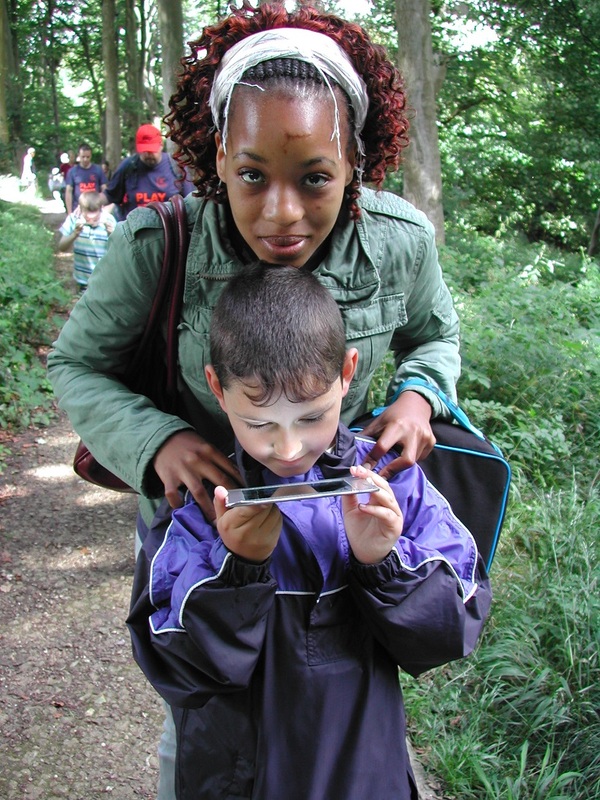 Families should also take a look at the free Wild Explorers App from Persil. Please share the evidence, share the good news stories and share the tools with your friends, schools and communities. Let’s all make this the turning point for outdoor learning! 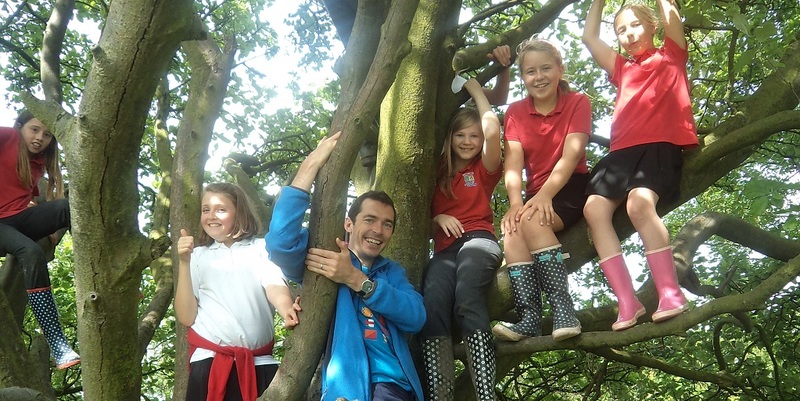 Jim Burt is Natural England’s Principal Adviser for Outdoor Learning & Outdoors for All. I admit that for a moment I was worried that Outdoor Learning (very much adult-led) and Outdoor Play (always child-led) were being conflated - "outdoor learning, outdoor play, outdoor education, wild time, whatever you want to call it," but a little further in you make an important distinction between the two complimentary but separate approaches; "outdoor learning isn’t a subject, it’s way of teaching; outdoor play isn’t a fad, it’s a foundation for our children’s future learning and health". I see them as very much complimentary to each other, even though delivering them requires a different approach. At Outdoor Play and Learning CIC we have been seeing very similar outcomes (in some areas, even better) to those achieved in the Nat Con Demonstration Project in all key areas. Results have been consistently high fin our 250+ primary schools around the UK, but it's always good news when research confirms what we (both play advocates and outdoor learning advocates alike) already knew to be the case. The recent huge increase we've seen at OPAL in schools asking for training in Outdoor Play provision is most encouraging (even if the government has still to catch up with our schools) because many smart Headteachers can recognise that when every child can freely play (as required by UN Child Rights Article 31) for more than an hour every day in a rich, interesting and challenging environment whilst supported by confident, competent adults, then there are immediate benefits for the school in terms of better safety, better behaviour and better attendance as well as increased teaching time in class, visible improvements in each child's personal development, happier pupils, cost savings and much less stress for staff! Hi Neil - glad you liked the blog. Thanks for sharing your support and comments! My son had such an amazing time at aberdovey with his school he got my husband to buy them a Kelly Kettle for when they go fishing! Thanks Cathy - we agree!